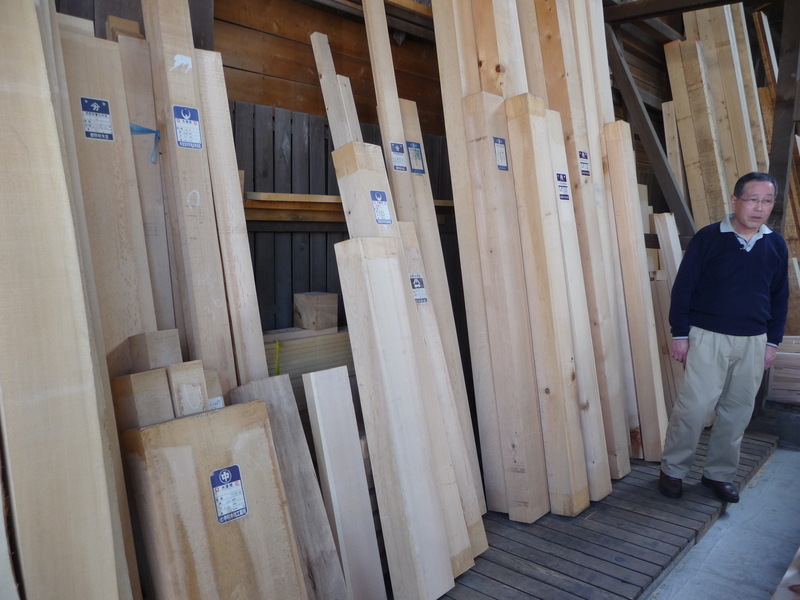 Blog | Bartok design Co. Blog – Page 37 – Bartok design Co.
we live in the states, in North Carolina, and we have weather similar to Japan, i.e. hot and humid in the summer, and cold and dry in winter. What effect does that have on the wood? 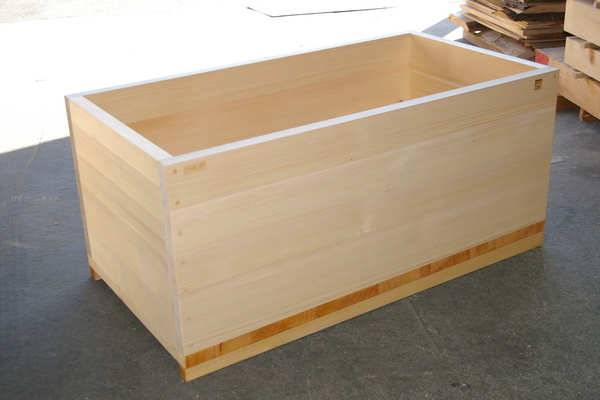 1) in summer: provide a good natural ventilation. Once you empty the tub, wipe it with a dry cloth and leave the windows open. 2) in winter: avoid using heating equipment in the bathroom when the tub is empty. Use the tub often (at least 2 times a week) and if you leave for an extended period, leave a bucket of water inside the tub and cover it to increase the air relative humidity. 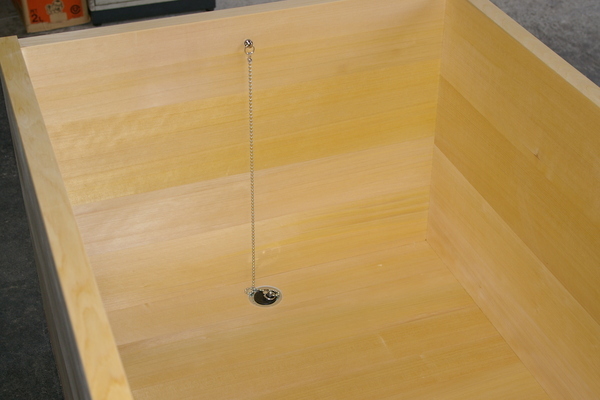 Keep an hygrometer near the tub and assure that humidity does not drop below 50%. 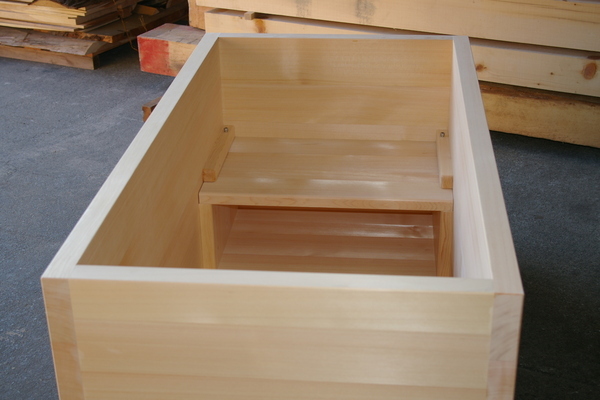 If the climate is too dry, there is the risk of the wood drying and eventually cracking. 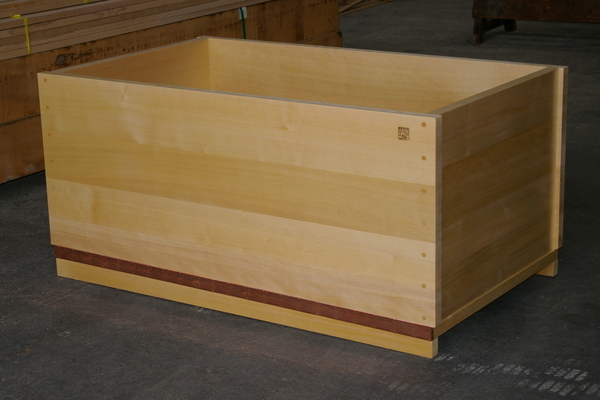 A block of quarter-sawn lumber is split in planks for making a bathtub. 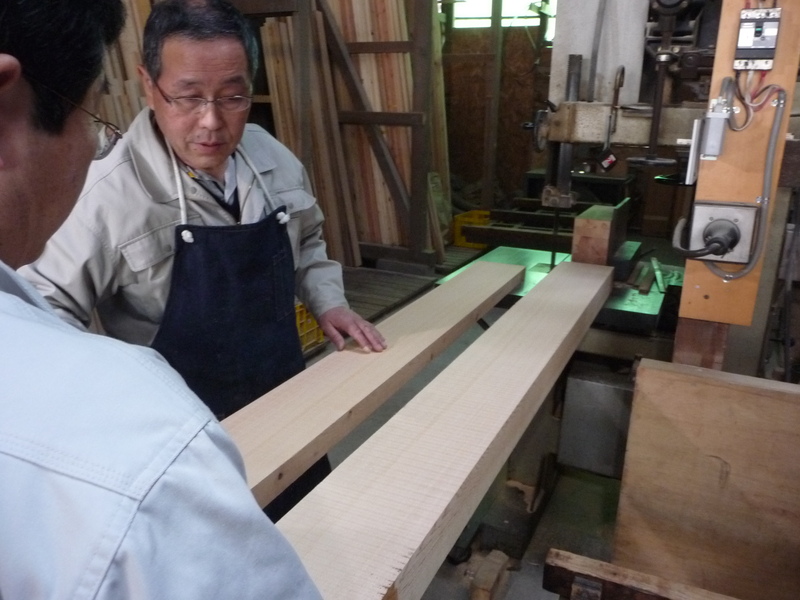 The thichness is 45mm: once it is planed it will be 42mm finished. 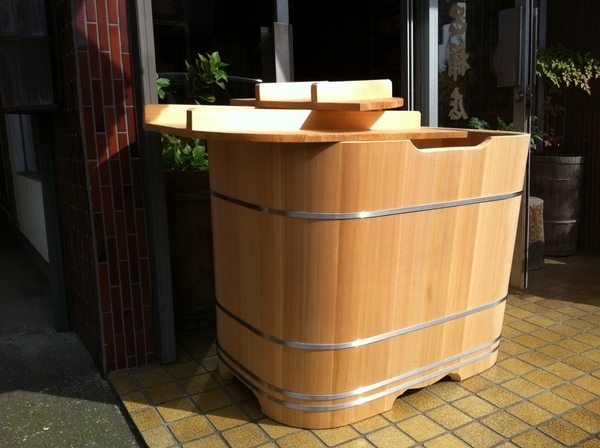 a beautiful japanese ofuro. Who`s taking a bath here? 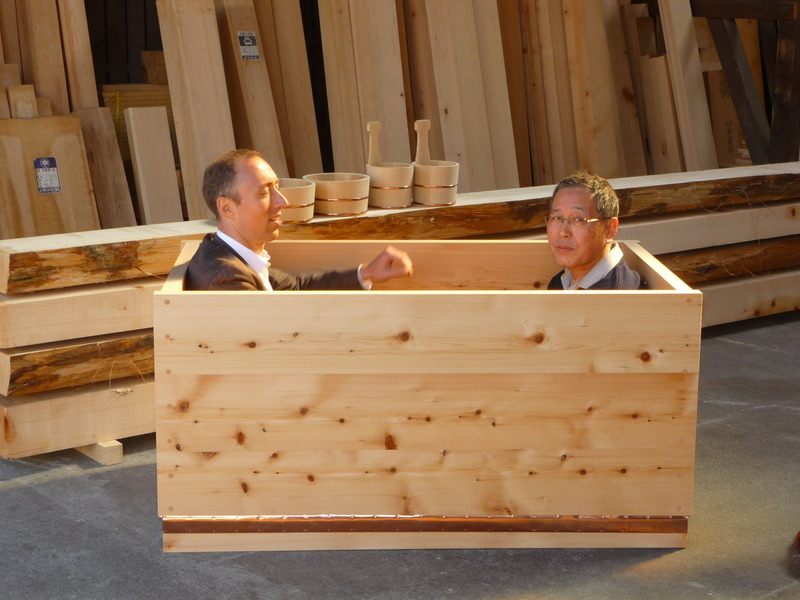 and, what is the cameraman doing with my hinoki bathtubs … ? 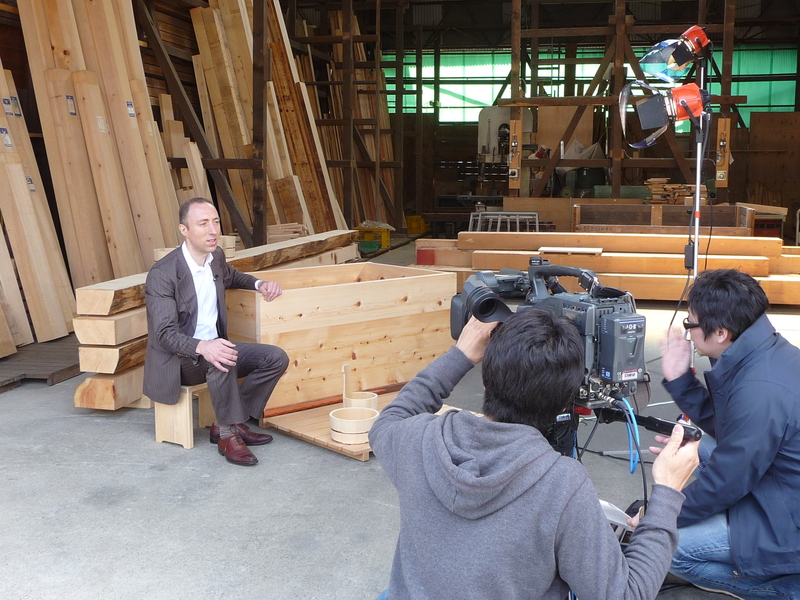 Last week I was interviewed for fuji television, the media coverage of the “new wave of the japanese bathing culture” is rising … and there I am in the spotlight again 🙂 ! 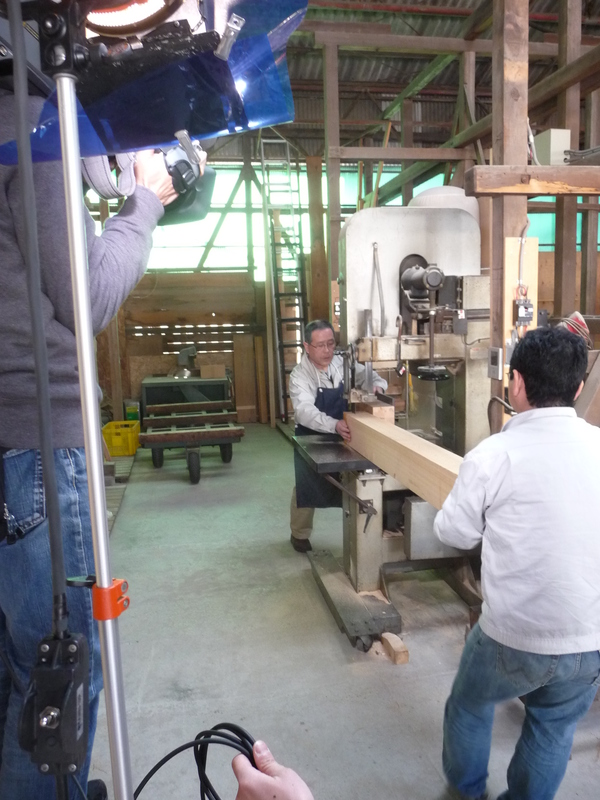 they filmed in high vision the grain of our beautiful kiso valley hinoki. 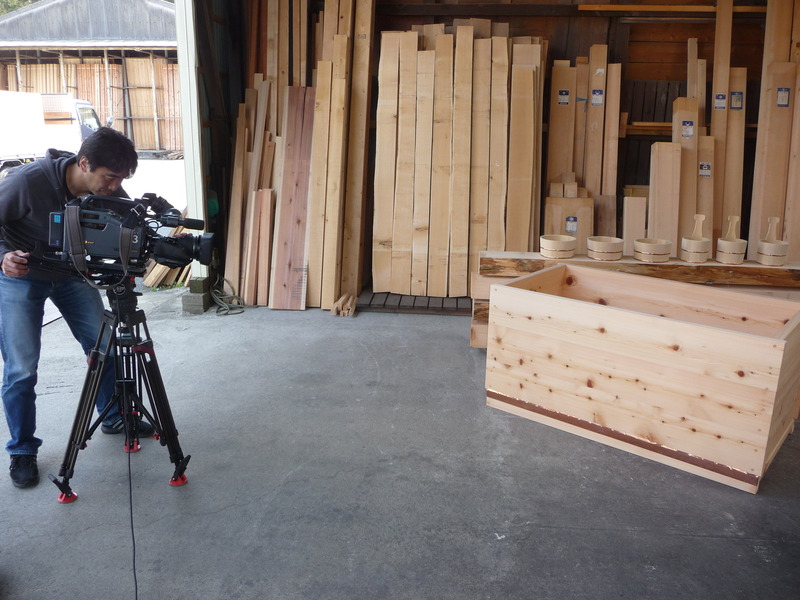 The VTR will be broadcasted on 4/25 in the morning news on Fuji television (national programming) and will also contain an interview with a client from L.A.
Ofuro featured on japanese TV! Here are some strips from the program broadcasted last month on the japanese TV. 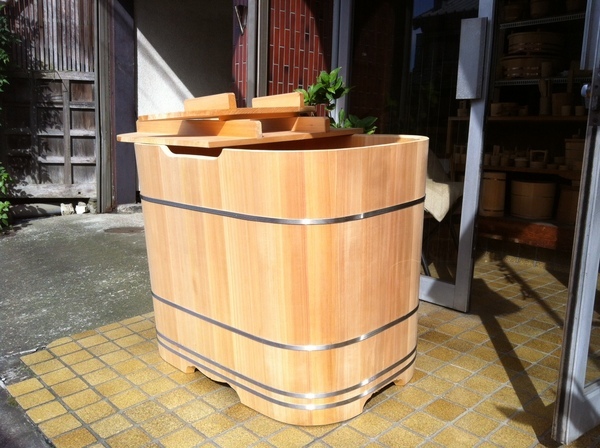 the bottom inner perimeter is completed with the insertion of a pad made of hinoki bark which has sealant and bactericidal properties. 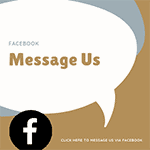 and here are other testimonials from the 17 countries wordwide where we have references. Lastly, a reference from Rome-Italy, in an apartment just meters away from the Colosseum. 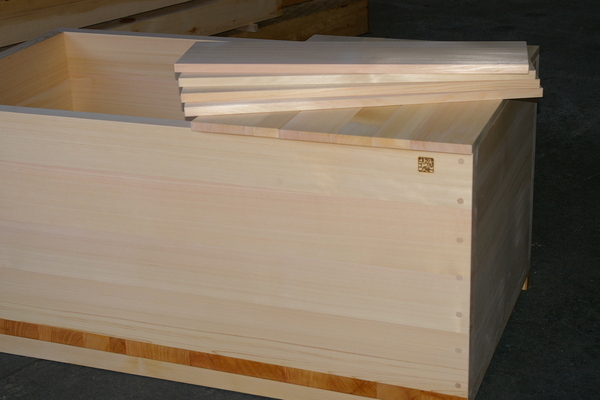 Our carpenter is so happy to see that his creations are appreciated by people living so far away…!